CABIN Bordering STATE LAND ----- Deep in the woods hunting cabin bordering state land! 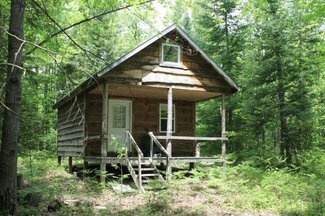 Anyone looking for a quality Northern Zone hunting property with a well built cabin -- this is perfect! Tons of deer, bear, turkey and grouse. The 24' x 20' cabin has an overhanging loft area and front porch. Access to Lewis County ATV and snowmobile trails as you can ride a long day exploring Beartown State Forest and Jadwin State Forest. Priced to sell at $34,900. Contact Pete Martino, NY Land Quest, 877-236-1117 or 315-269-3487 cell for more information and to schedule a showing.